“It always seems impossible until it’s done”. I am not writing this quote haphazardly. This nice sentence was said by Nelson Mandela, who passed away a few days ago. I like this kind of quote we should repeat us every morning, front of our mirror. Nelson Mandela is the right person to pronounce such a quote. He spent 27 years in jail for campaigning against apartheid regime. The apartheid regime was suppressed in 1989 by Frederik De Klerk, president of the South-Africa republic, and Nelson Mandela was released from jail on the 11th February 1990. 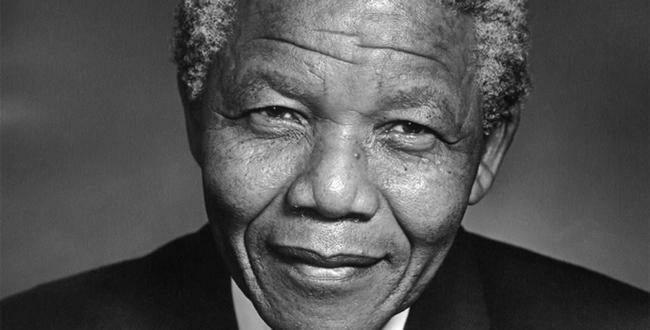 Mandela never gave up his fight against apartheid, and he paid a huge price with a large time of his life in jail, but he reached his goal by seeing the realization of his goal. From this example, each of us we can learn a lot of positive things when we want to reach goals in our life. It begins with some dreams, and often we are thinking we will never reach such a goal because it is too complicated. Most of the time, we are the one who put obstacles on the way of our own objectives, and our dreams remain dreams. Most of the time we would like to have finished something before to start it. Today, everything is going fast, everything is ephemeral, and we lost the fact that great things require effort and pain to be realized. I would like to take an example. I like to talk and to write in other languages than my native one. This blog is a real opportunity to do such exercise. It is obvious that most of you who are native English speaking, noticed that I am not one of you. Language is a marvelous tool to express ideas and to communicate them with other people. It becomes very interesting when you know some expressions that cannot be translated literally in your native language. When you know and pronounce such expression, it means that you have a good knowledge of the language but that you have also interests for the people you are talking with. Such interest makes that people are closer from each other. Often, I am dreaming to move to a job of translator-interpreter. Such goal means that I would have to learn and to improve significantly my language knowledge. Is it impossible? Probably not, but it requires few things. First, is to take the decision to realize that objective, by drawing a strategic plan, by following courses, reading books, watching to Tv programs. Second point, is to have a discipline, the discipline to study your vocabulary and your grammar on a regular basis, based on a work agenda. Third point is to take all the opportunities making that you will practice the language you are studying. I mean that if you are French speaker who is learning English and you meet English native who speak very good French, take the opportunity to practice English and not your mother language. The language learning process is something long, that you can always improve. Many things like to study a language take time. Most of us, we remember things we were struggling with at school, and today, we are wondering why we struggled with it. As to build a house, you will do it stone by stone. You will have to face difficulties you will have to solve. Such difficulties are opportunities to learn new things, to improve and empower your experience, to expand your knowledge. The experience make that you will be ready to face bigger challenges and, will become more confident. The fact that we will reach our goal is linked to our own decision to do it, by our courage to face difficulties and our perseverance to work hard. It is possible if our projects are driven by passion. As said Walt Disney, “All our dreams can come true, if we have the courage to pursue them”. So, each morning, let’s think about this quote, and about the way to realize goals. Goals are the motor of our life.